Ideation Studio designed the prototype with cues from Brazilian design motifs and specific retail merchandising goals. Adding to their impressive chain of 250 stores. 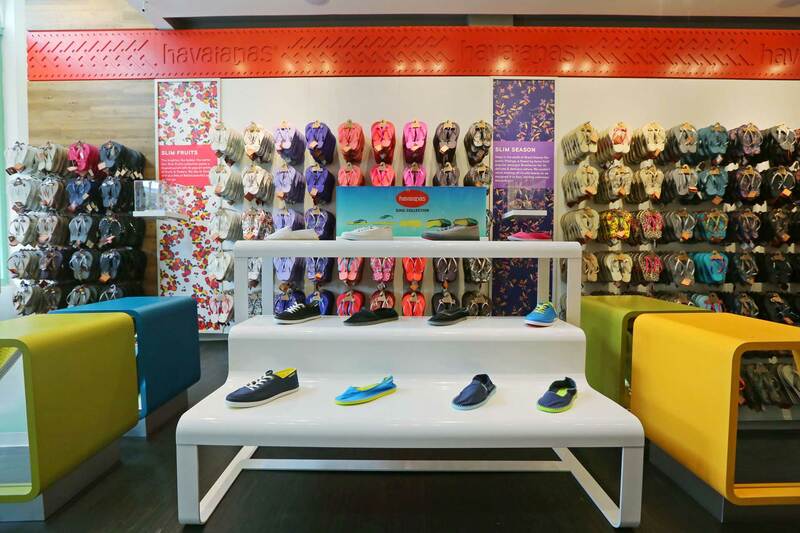 Havaianas breaks into brick and mortar with their first United States retail store. Ideation Studio collaborated with the iconic global footwear brand, keeping the traditional Brazilian elements and specific corporate merchandising goals at top of mind. Good things come in small packages. 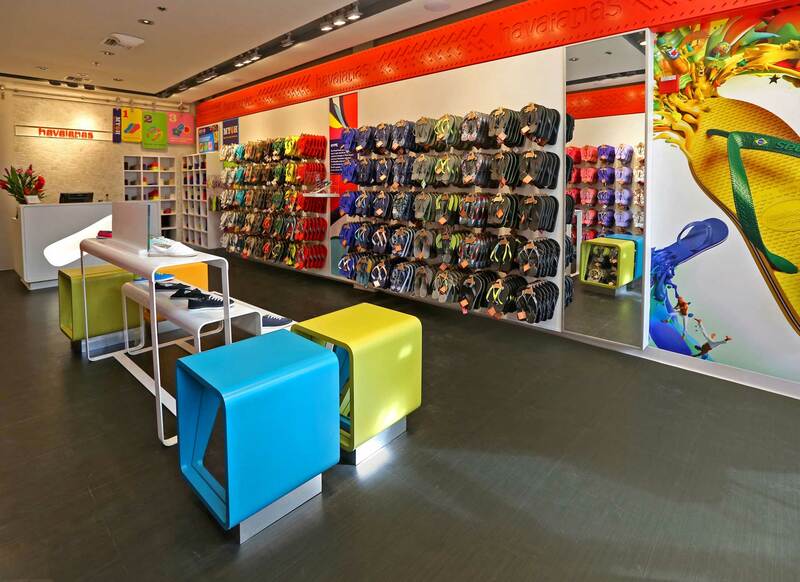 The 750 square foot retail space packs a visual punch with vibrant color, graphics, and music. The rhythm of the wall merchandising system created points of interest. We integrated the fashion story behind a focal pair of flip-flops to share the unique product development inspiration. The design also incorporates other brand assets including the Greek key and rice patterns. 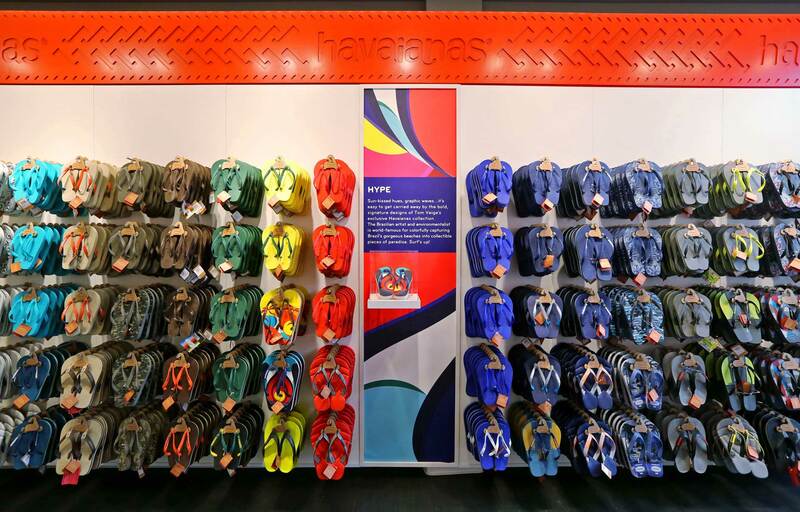 A playful fixture and crowd favorite is the “Make Your Own Havaianas” product line—your turn to MYOH.